At its most basic, SCCA can be described as a group of motorheads who enjoy competing our cars in events where we turn both right and left. We do this in a number of ways, ranging from the relatively low-speed Solo event (autocross), to full-bore road racing at close to 200 mph. What we do in Salina Region, however, is not the triple-digit aspect of SCCA – we are primarily an autocross club – but if road racing is your goal you can get there through us. SCCA is a national organization of more than 50,000 members. Salina Region is one of 116 individual Regions (local clubs). We are a small corner of SCCA, with a bit more than one tenth of one percent of that membership – about 100 members or so. 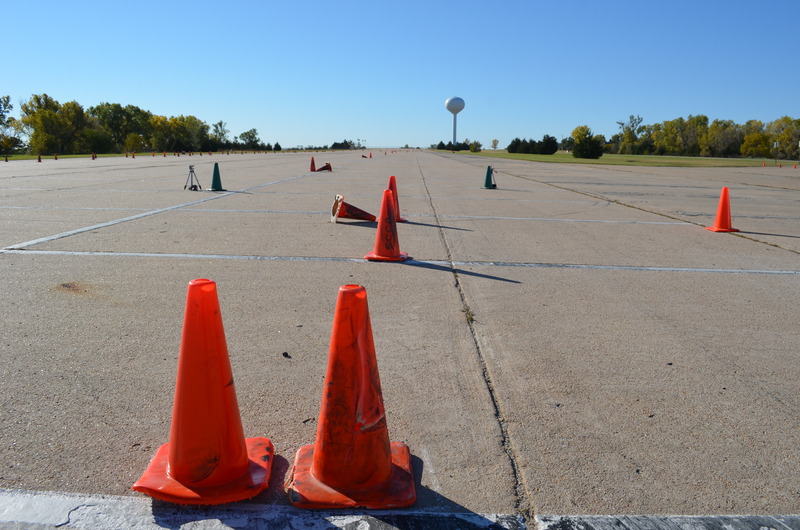 But we put on some of the most enjoyable autocross events in Kansas.